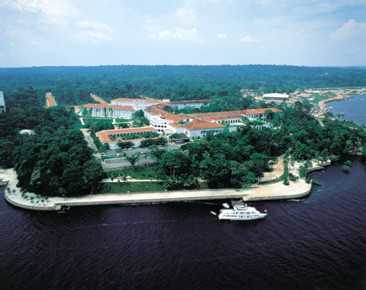 On the outskirts of Manaus sits the Tropical Hotel, a magnificent property that blends comfort and elegance with the river and surrounding jungle in a manner that leaves both undisturbed. You will have a half-day tour of Manus, including the famous Amazonas Theater and the colorful port and waterfront area. Included: One night at the Tropical Hotel Manaus or the Caesar Business Hotel, including tax and buffet breakfast, round-trip airport transfers and a half-day Manaus City Tour including the Amazonas Theater. 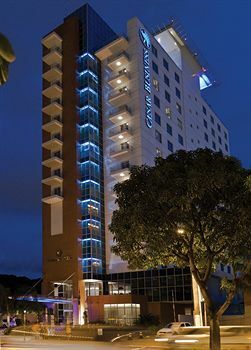 The Caesar Business Hotel is situated in one of the top areas of the city of Manaus, very close to the Amazonas Shopping Center, Universidad del Estado de Amazonas, the State Social Welfare Ministry, Petrobrás, the convention center and the Vivaldo Lima Stadium. The hotel is located 10 minutes from the industrial district and 25 minutes from the Eduardo Gomes International Airport. The hotel has 229 rooms, a Lobby Bar, Room Service, free high-speed and wireless Internet for guests, a business center equipped with computers and rooms for meetings and events. The Amaranto restaurant has a casual atmosphere and is open from 6:00 a.m. until 10:00 p.m. with exquisite international cuisine.